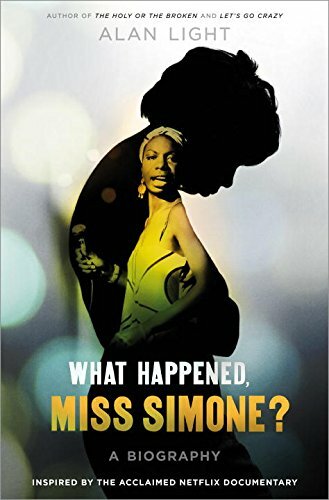 Inspired by the Academy Award-nominated Netflix documentary What Happened, Miss Simone?, an intimate and vivid look at the legendary life of Nina Simone, the classically trained pianist who evolved into a chart-topping chanteuse and committed civil rights activist. From music journalist and former Spin and Vibe editor-in-chief Alan Light comes a biography of incandescent soul singer and Black Power icon Nina Simone, one of the most influential, provocative, and least understood artists of our time. Drawn from a trove of rare archival footage, audio recordings and interviews (including Simone's remarkable private diaries), this nuanced examination of Nina Simone’s life highlights her musical inventiveness and unwavering quest for equality, while laying bare the personal demons that plagued her from the time of her Jim Crow childhood in North Carolina to her self-imposed exile in Liberia and Paris later in life. Harnessing the singular voice of Miss Simone herself and incorporating candid reflections from those who knew her best, including her only daughter, Light brings us face to face with a legend, examining the very public persona and very private struggles of one of our greatest artists.